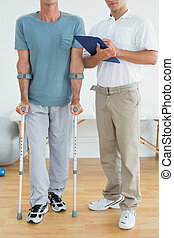 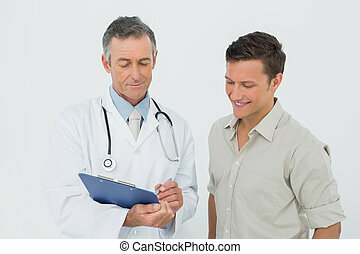 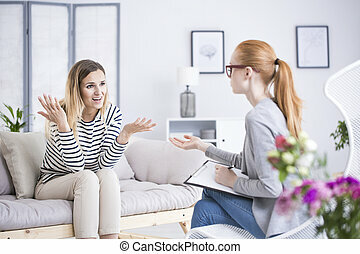 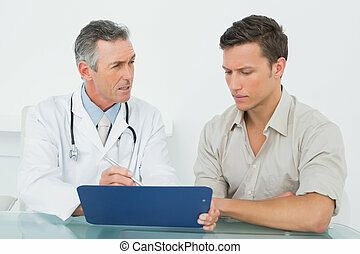 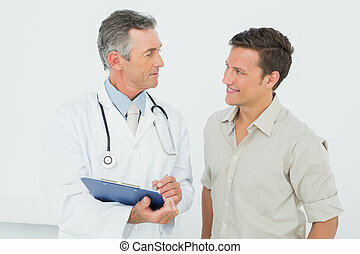 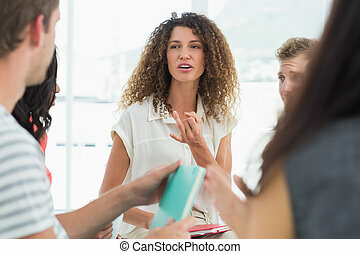 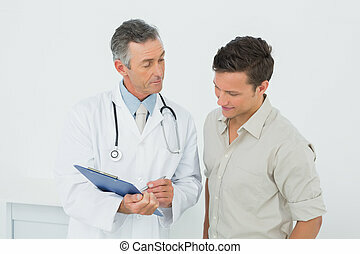 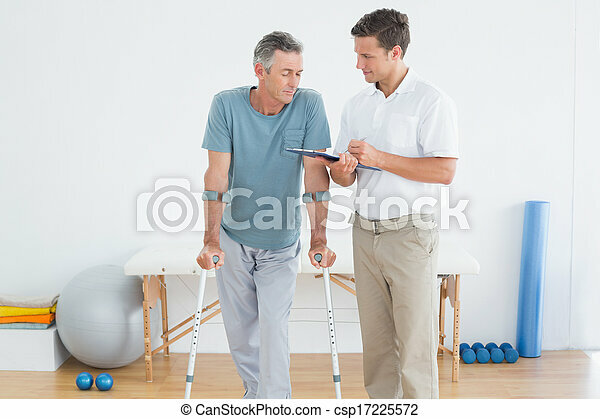 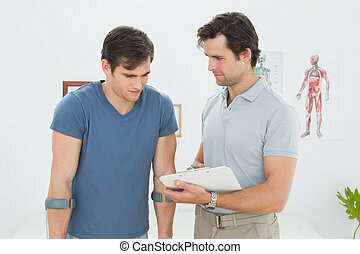 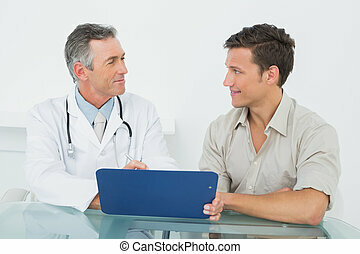 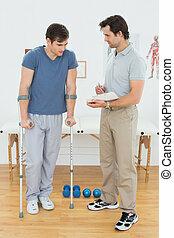 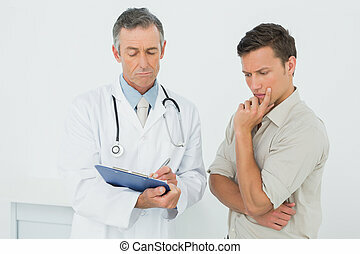 Therapist discussing reports with a disabled patient. 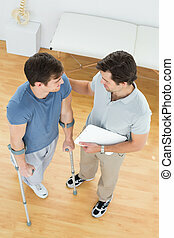 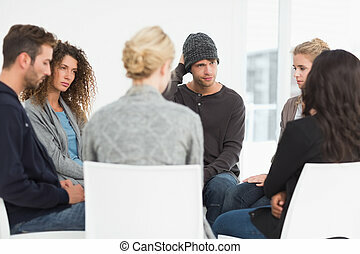 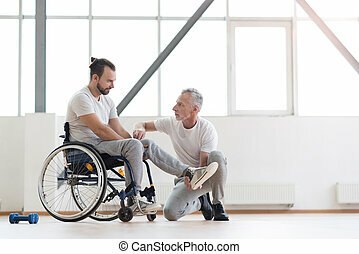 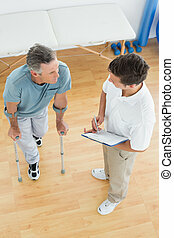 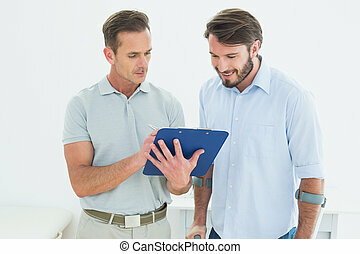 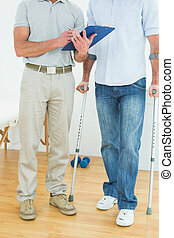 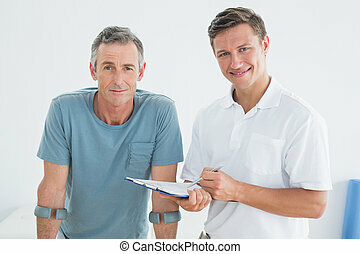 Male therapist discussing reports with a disabled patient in the gym at hospital. 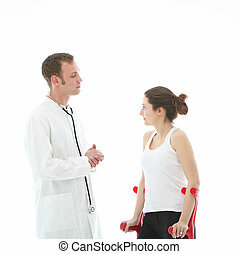 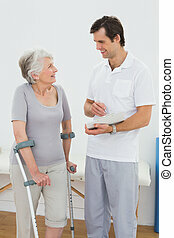 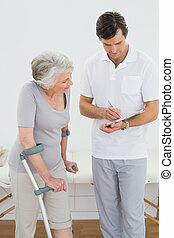 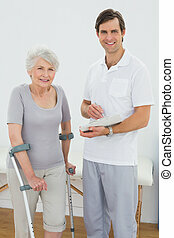 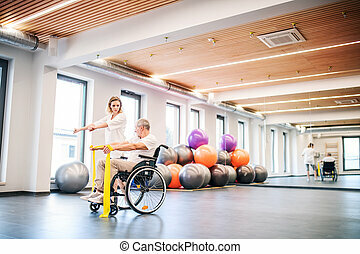 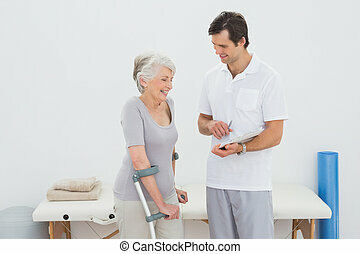 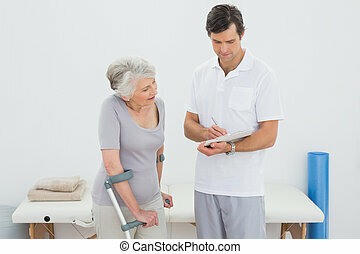 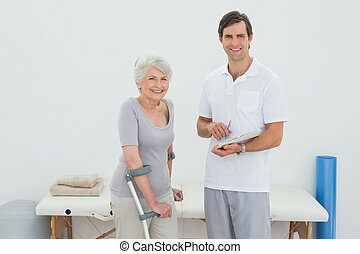 Young attractive woman physiotherapist working with a senior man in wheelchair.